‘Pilgrimage’ an exhibition of video art, photography, and paintings “A pilgrimage is a long journey or search of great moral significance. Sometimes, it is a journey to a sacred place or shrine of importance to a person’s beliefs and faith. Members of many major religions participate in pilgrimages. 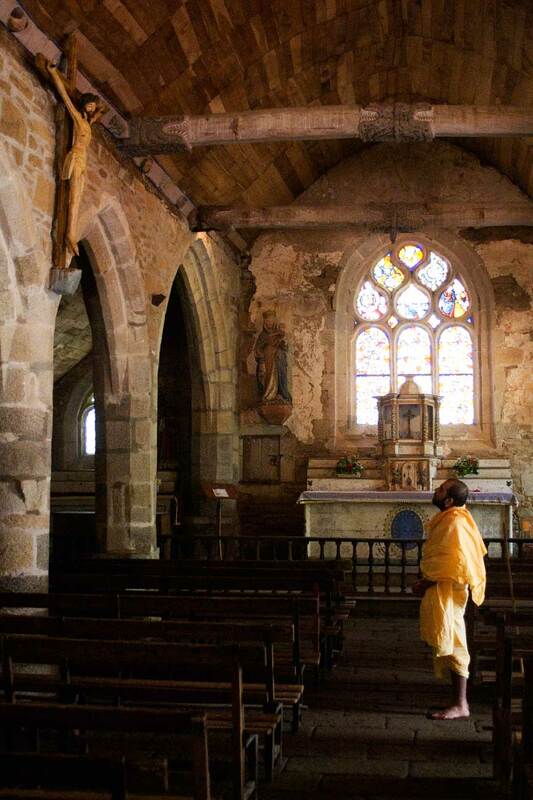 A person who makes such a journey is called a pilgrim” This video installation shows the stark contrast that different cultures have, and the artist’s observation and experience whilst staying with a host family in France. This host family was completely devoid of the quintessential feminine and spiritual touch as compared to homes in India. Thus the artist takes on this pilgrimage to fill in the void through a symbolic cleansing process and the journey back to the source.The exhibition comprises of three performance / action videos; Cleansing [5.01 minutes ], Holy triangle[6.25 minutes] & Pilgrimage[8.30 minutes] with the workings stills of the videos , paintings.